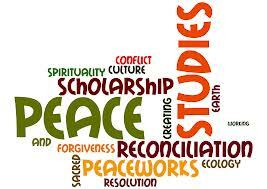 Peace Scholars set to discuss possible solutions for policy design at security Conference – Royal Times of Nigeria. All is set for the Annual General Conference of the Society for Peace Studies and Practice holding in Abuja, the nation’s capital. The conference with the theme “Violent Conflicts and the Challenges of Peacebuilding in Contemporary Nigeria”, holds between Monday, the ninth and Wednesday, the eleventh of July, 2018 at the National Open University Campus, Jabi, Abuja. A statement issued by the National Publicity Secretary of Society for Peace Studies and Practice, Dr (Mrs) AbiolaAdimula, said that the Minister of Interior, Retired Lieutenant-General AbdulrahamanDambazau and the Minister of Transportation, Right HonorableRotimiAmaechi will be Chairman and Special Guest of Honour respectively at the opening ceremonies on Monday by 10am. The statement also informed that the Chief of Army Staff, Lieutenant-GeneralTukur Yusuf Buratai, will declare the conference open while Emeritus Professor Godwin Sogolo and Retired-Colonel Ola Mejeyeogbe, will serve as Keynote Speakers. The conference is expected to discuss in depth security issues, violent conflicts in the country and suggest possible solutions for policy design.